Giovanni Verga was an Italian realist writer, best known for his depictions of life in Sicily, and especially for the short story Cavalleria Rusticana and the novel I Malavoglia. The first son of Giovanni Battista Catalano Verga and Caterina Di Mauro, Verga was born into a prosperous family of Catania in Sicily. He began writing in his teens, producing the largely unpublished historical novel Amore e Patria (Love and Country); then, although nominally studying law at the University of Catania, he used money his father had given him to publish his I Carbonari della Montagna (The Carbonari of the Mountain) in 1861 and 1862. This was followed by Sulle Lagune (In the Lagoons) in 1863. Meanwhile, Verga had been serving in the Catania National Guar Giovanni Verga was an Italian realist writer, best known for his depictions of life in Sicily, and especially for the short story Cavalleria Rusticana and the novel I Malavoglia. Meanwhile, Verga had been serving in the Catania National Guard (1860-64), after which he travelled to Florence several times, settling there in 1869. He moved to Milan in 1872, where he developed his new approach, characterized by the use of dialogue to develop character, which resulted in his most significant works. 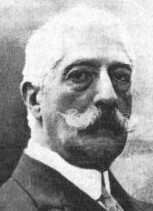 In 1880 his story collection Vita dei Campi (Life in the Fields), (including Fantasticheria, La Lupa, and Pentolacchia) most of which were about rural Sicily, came out; it included the Cavalleria Rusticana, which was adapted for the theatre and later the libretto of the Mascagni opera. Verga's short story, "Malaria", was one of the first literary depictions of the disease. He then embarked on a projected series of five novels, but only completed two, I Malavoglia and Mastro-Don Gesualdo (1889), the latter of which was the last major work of his literary career. Both are widely recognized as masterpieces. In 1894 Verga moved back to the house he was born in. In 1920 he was elected a senator. He died of a cerebral thrombosis in 1922. The Teatro Verga in Catania is named after him.